This Church on the Other Side workshop cosponsored by Church on the Other Side, LMC, and Bethlehem Community Fellowship. 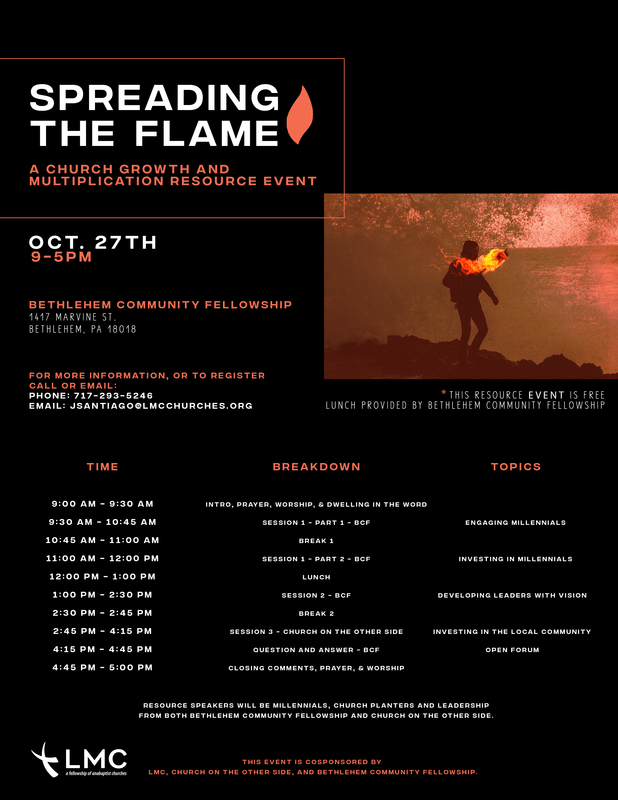 All resource speakers are millenials and leadership from Bethlehem Community Fellowship and Church on the Other Side. Multiplication leaders, church planters, missional practitioners, visionary pastors, and emerging leaders should find the day practical, refreshing and encouraging. The event is free. The cost of your lunch is included in the day. Please RSVP to jsantiago@lmcchurches.org if you plan to attend. Click here to view and share the flyer.